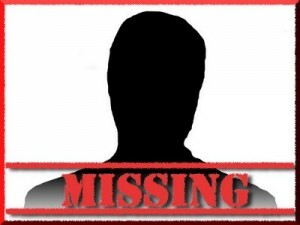 35,000 people in Australia are reported missing every year. Sometimes they turn up again, but sometimes they don’t, leaving families, loved ones and friends without closure or answers. There’s a lot of reasons someone might go missing; mental health or family problems, or to escape their responsibilities or debts. Since 1992 Affordable Private Investigators has accumulated access to numerous missing persons search engines nationally and throughout the world and we have been able to provide an exceptional service in tracing “missing persons”. As one of our services, our highly trained investigators can discretely track missing persons in Perth and Australia, and even overseas. Do you need help locating a missing person in Perth? We can start the person trace with as little information as a full name but sometimes may require a little more. We trace missing persons, missing heirs, old friends, lost relatives and generally find people who are difficult to find. Each person trace is handled proficiently and efficiently by one of our highly trained private investigators, and you are regularly kept informed of the progress of your inquiry. At Affordable Private Investigators, we have one of the largest information networks throughout the UK, USA, Malaysia, Singapore. By connecting with investigators from local areas, we work with people who know the area and the right places to look. This means we can search for missing persons across larger areas with much greater speed, and at less expense to you. We have spent a lot of time in Thailand and have excellent contacts that have been made by on ground investigations by our own private investigators. We are a member of the National Association of Investigative Specialists, a Texas-based organisation, which has some of the best search engines in the United States of America. Why call Affordable Private Investigators to find missing persons? Our success rate in tracking down missing persons is high, but we must warn that sometimes, when a person does not want to be found, it just does not happen. But even though we can’t guarantee we will find a missing person, what we can promise is that we will have a bloody good try and an in-depth investigation into finding them. We don’t give up easily and will leave no stone unturned. At Affordable Private Investigators, we understand just how much people can be affected by a loved one going missing, and will always handle the operation with discretion, professionalism, and compassion. We are ready to help so call us today for a free consultation on +61 8 9330 9559.